Our home is a beautiful 7th floor, full of light, with balconies. Doorman on the building. The apartment is fully equipped and furnished with italian furniture. Internet connection. Many books and recorded music that our guests can enjoy while staying at our place. 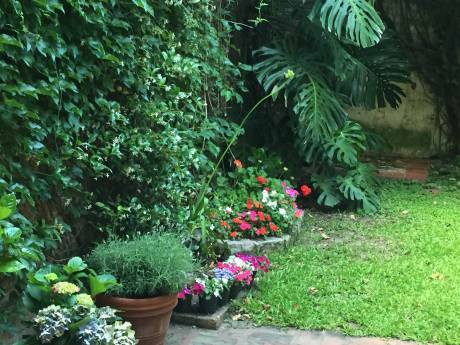 It has two bedrooms (one used as tv room- dressing room), a very large living room, open to dining room with balcony, fully equipped kitchen, one bathroom (no bathtub)and two powder rooms . The 3rd room will be occupied with our stuff. Every room has french windows, open to the street. 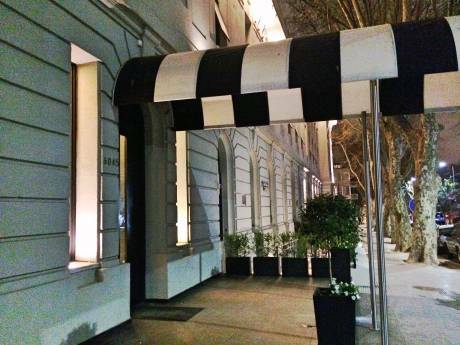 Our home is located in Retiro neighborhood, one of the classiest in Buenos Aires. 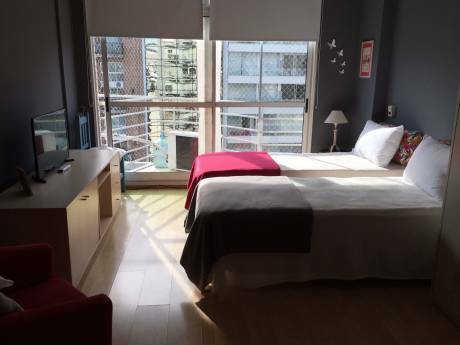 Shopping, art galleries and pedestrian area, close to theaters, restaurants and night life, 15' to San Telmo, where most tango places are located and to Puerto Madero, a picturesque restaurant spot. All public transportation is at hand, but it is a great zone to walk, safe and lively day and night. We are a middle age couple, with two independent grown up children (one is a lawyer, the other is a graphic designer). My husband is an electronics engineer and University professor and I am an artist. We had our first home exchange last year and it worked great. We are very neat and careful in general and particularly with other people's belongings. We'd like to swap with people of a group age similar to ours (50's up). We are both skiers and love to hike. We prefer some place in the Caribbean in September or October 2008 (two weeks) and are also planning to get a swap in a ski center in Italy or France in April 2009, but are open to any suggestion.